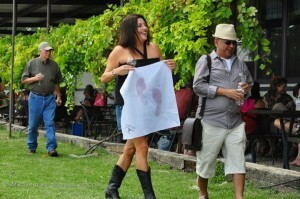 Join Chisholm Trail Winery (2367 Usener Road) annual Labor Day “I Love Lucy” style grape stomp! Wine by the glass, sangria and peach bellinis and wood-fired gourmet pizza available. Live music by John Arthur Martinez from 2 to 5 PM. Winery open from noon to 6 PM.